The new T194 is the latest addition to the TYM range and will be seen for the first time at SALTEX 2018. Designed as an alternative to the ride-on lawn mower, the T194 takes this to the next level and more. 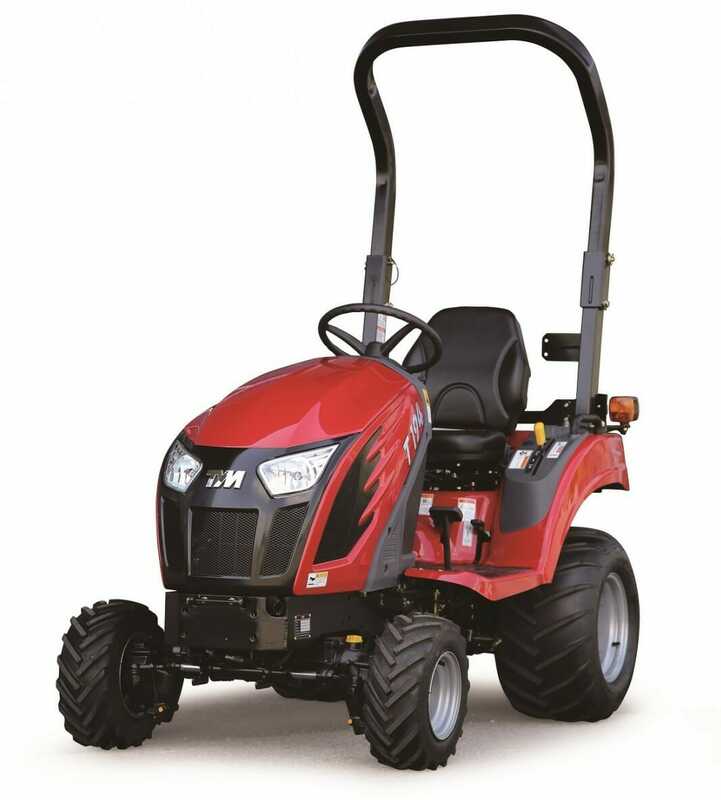 Powered by a 19hp Yanmar three-cylinder diesel engine, the T194 is the perfect machine for customers who want the compact size and agility of a mower, but with the additional features and practicality of a small tractor. Steven Haynes, TYM sales manager, says: “TYM had simplicity and practicality in mind when designing the T194 and because of this they have equipped it with features customers such as large private homeowners and contractors are sure to appreciate. These include a powerful dual range HST transmission with fatique-busting “auto throttle” system which conveniently links the HST pedal to the engine throttle. The T194 can be equipped with a 54 inch mid mounted deck, with cutting heights from one to four inches. Mowing heights can be adjusted from the operator’s seat via the on-board height of cut dial lever which is easy and intuitive to set. In addition to the mid deck, the T194 can also be specified with a front loader, further enhancing the uses for this small but powerful machine.